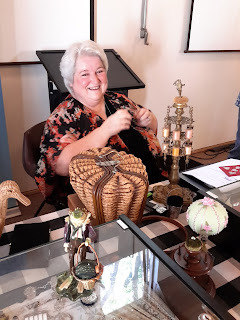 On the 13th of February 2016, Kerry Easton gave an outstanding and fascinating talk for the Quilt Study Group of NSW on sewing tools used in the past. Kerry is an ex-CSIRO researcher and currently the NSW convenor of the Needlework Tools Collectors’ Society. 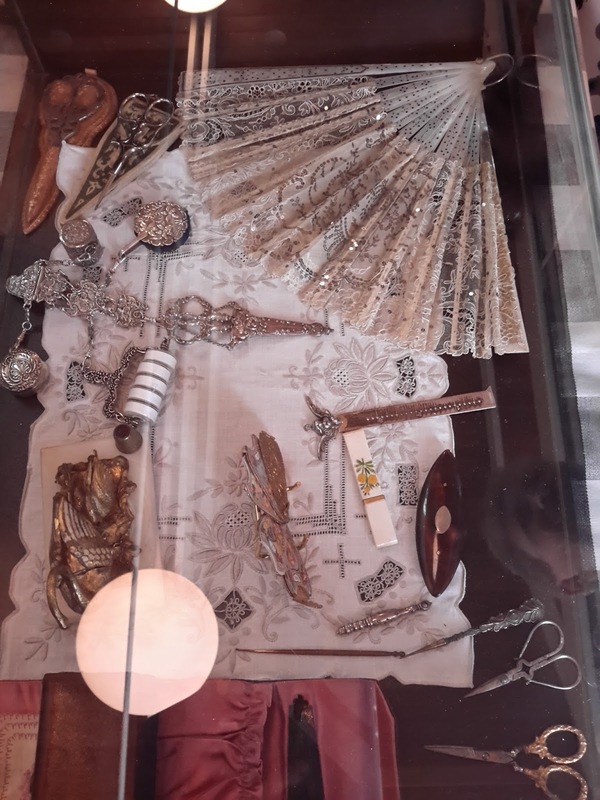 Her interest in this area started when she decided to restore an empty 1820s Palais Royale workbox, thus kick-starting a ‘restful passion’. This involved using her husband’s woodworking tools, including his new oscillating spindle sander. She did say that her work background in particular has helped her pursue her interest in all sewing tools and we were very lucky to be the beneficiaries of her passion. Kerry started her talk by discussing early embroidery frames and took us through a series of photos of paintings and illustrations to show how the basic design has not changed in 265 years. We were led through the various types - embroidery frames, tambour frames, circular hoop frames and triangular table frames – and methods of tightening them, before she moved on to cover quilting frames. 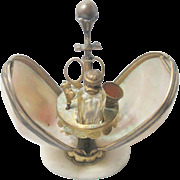 She is especially fond of padded silver hoop frames, and showed us a beautiful American example she has restored. Kerry then covered the topic of clamps (also known as sewing birds or third hands), and showed how they were used to tension fabric for sewing. The variety of designs was mind boggling, ranging from simple G-clamps to the most ornate animal, insect and bird-shaped metal clamps doing double duty as pin cushions and tool box holders. Of course, sewing machines made them obsolete. Kerry brought along some collectors’ sewing birds to show us and warned us against buying any Charles Waterman (USA) gilded sewing birds from the 1970s as they are modern copies. 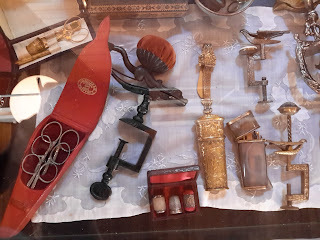 Kerry then talked about the more common components found in sewing baskets or etuis (scissors, thimbles and thimble holders, thread holders, pincushions, needles, needle and bodkin holders), as well as thread spinners, swifts or thread winders, reels and reel stands, tatting and other types of shuttles. We learnt about the fad for parfilage or drizzling (recycling metallic threads and lace) in the court of Louis XVI and the beautiful sets that can now be bought for large amounts of money, before Kerry showed us a range of portraits including all these items. Finally, Kerry covered the types of containers for these needlework tools. This included work baskets, etuis, chatelaines and work tables. 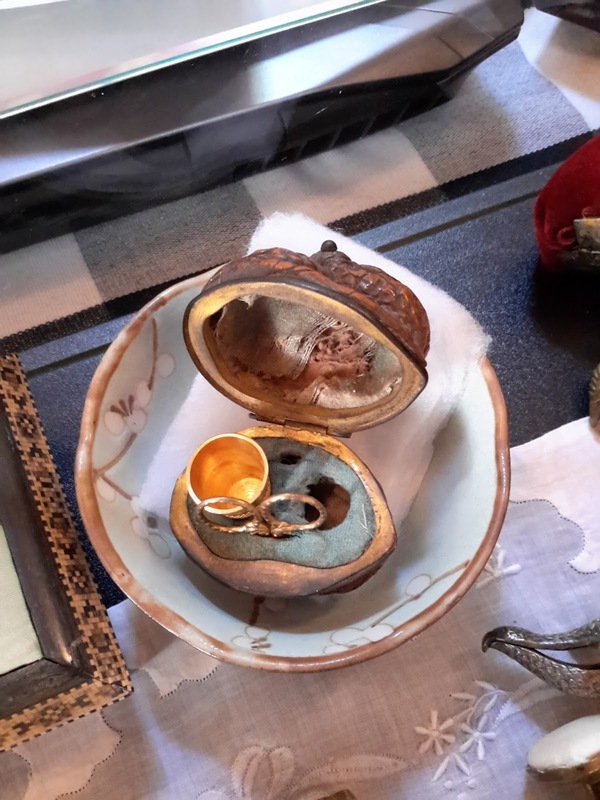 She showed us a wonderful selection of etuis made from exotic materials, such as one made from a giant shell. 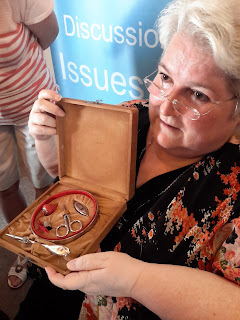 We finished by looking at all the sewing tools Kerry had brought along to show us, as well as the treasures that had been brought along for show and share. It was a wonderful and detailed talk.